Have you heard of the acronym KISS? Well, if Wikipedia is to be believed it was started by the Navy and stands for, "keep it simple, stupid." We aren't for name calling around here so I like to think it stands for "keep it super simple." It means that you shouldn't try to over think issues or over complicate them. Just make it as simple as possible. There have been studies that show that humans have a set amount of willpower. If you are busy fighting against yourself all day you will likely mess up and lash out later. Therefore you should make it easy on yourself to help you meet your goals. 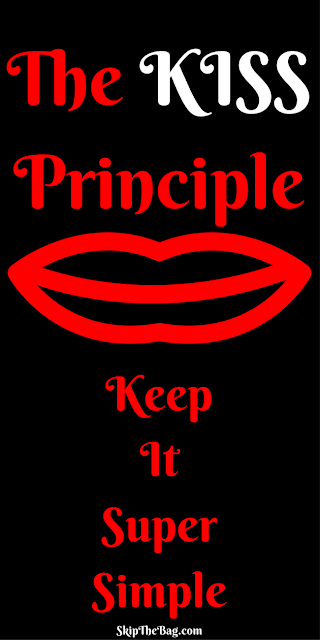 Save that willpower for when you need it and don't force yourself to use it unnecessarily. An example from trying to lose weight would be: don't have a bowl of candy on your desk. Seeing the candy and regularly saying "no" tests your willpower. So when you go out to dinner you may be more likely to splurge and get a less healthy dinner and maybe even dessert! Similar concepts happen when trying to establish new environmentally friendly habits. We are most likely going to take the simplest path, the one of least resistance. So planning and preparing for the situations you will likely face, means that the new environmentally friendly path will be the one that is simplest and you can save that willpower for more difficult choices. Finally, the most important thing is to just take it one step at a time. Don't over complicate it by worrying about every possible scenario; just take it day-by-day, choice-by-choice. There may be some stumbles, but you are doing better than you would have been. What things do you to that make it easier to avoid plastic or waste? 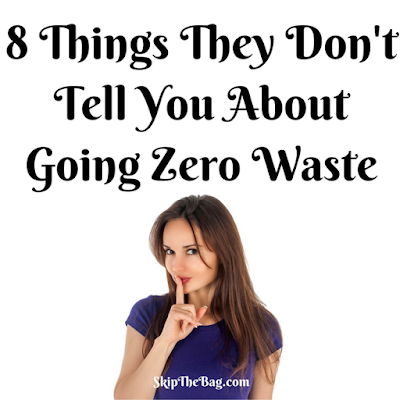 Don't forget to check out these 8 things they don't tell you about going zero waste! The first one is that plastic guilt is real! Love it - "KISS" is new to me! I think this is super helpful. I definitely forget the 'straw' part when ordering drinks. I also think 'meal plans' are not for me; I found it more suitable to my lifestyle to adapt an approach where I make food based on what is on my fridge - encouraging me to be more creative when it comes to food and packed meals! I still struggle with refusing straws, they are EVERYWHERE in the south. Hubby is more like you, he can look at the food we have on hand and whip up an amazing meal. I have to plan or else I only see ingredients and not a meal. I haven't heard about MVP, interesting idea. 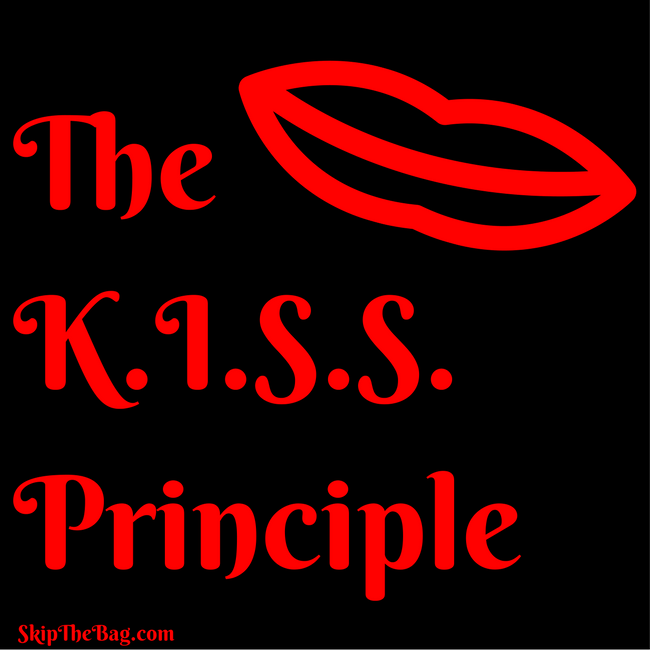 I hadn't ever heard of KISS but I love the concept! I also find myself having less and less patience throughout the day if my willpower is being tested a lot - it's a really good think just to be keeping in mind! Absolutely! It can be draining just trying to not do something. Like try not to think about a pink elephant! Ha! That's interesting to learn that people have a set amount of willpower. Definitely explains a lot. I also love your tips. I have really been working hard over the last few years to follow most of these, but I still need to work on my meal planning. I've definitely gotten better, but it's the hardest thing for me to do. I'm really bad about meal planning too, and it's mostly just cause I'm not in the habit and Hubby likes to cook. I'm also ok with eating the same thing for several days, and he prefers more variety. I had to laugh... we make a lot of products, but my son saw some item today (that I don't make) and says, "Mama do you have the ingredients to make more of this?" Ha. Okay so he "gets it." Thanks for linking up at #SustainableSundays! When our last coffee maker bit the dust I felt bad about tossing it in the trash. The pot itself was glass, but my recycle program doesn't recycle that kind of glass, it wasn't broken so I donated it to GoodWill. It was the body of the maker that bothered me, it was plastic but not the recycle kind. So my next coffee pot purchase was a Chemex pot. I can boil water (in the time it takes me to brush my teeth) and pour it over the grounds and brew a pot in less time that it takes the standard coffee maker to brew a pot of coffee. And the NO hot plastic in my coffee makes me feel so much better about my favorite vice. Absolutely Hubby uses a bialetti. It is quick and makes the perfect cup for him. Chemex is also great! These are great suggestions. I hadn't even thought about the amount of waste generated from straws. I'll be turning them down from now on! So glad to hear it! If you are looking for some plastic free straw alternatives check out this post about national drinking straw day. I love this KISS idea. We really so make things too complicated. Living green and eco-friendly isn't complicated at all especially if take one step at a time and it just becomes a way of life. Thanks for all your tips and ideas. 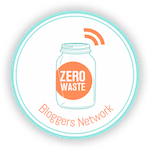 Visiting from #WasteLessWednesday Sharing on twitter & pinning.